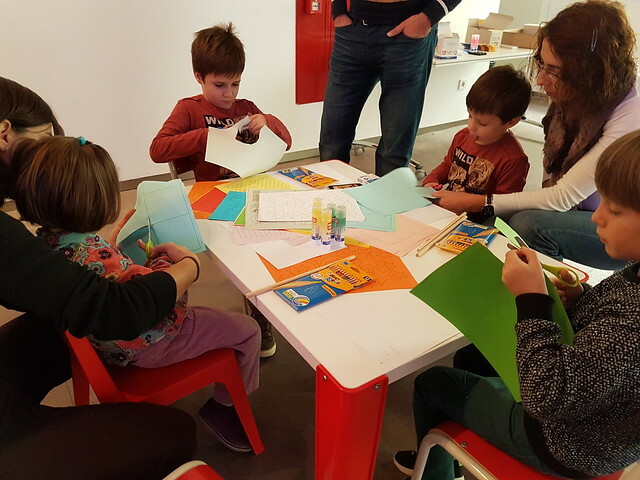 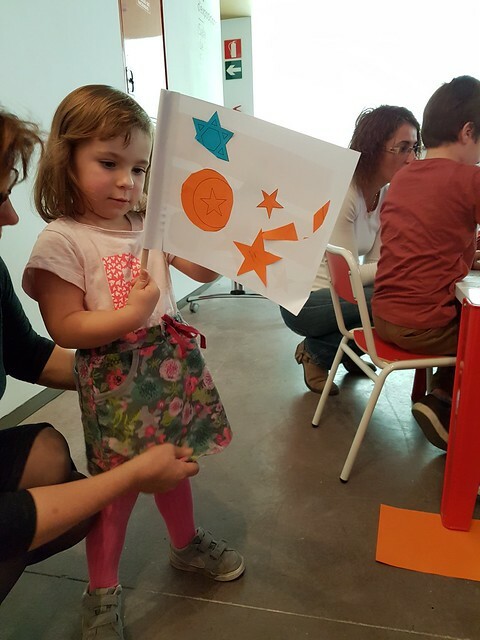 The workshop was for families where we invited kids to make their own flags inspired by our work called One Flag Every Day. 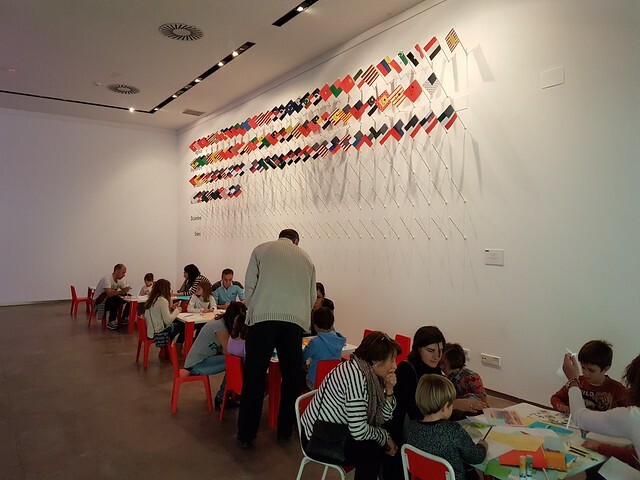 Children were given the motives of different flags on color paper (i.e stars, stripes, various national symbols that belong to different flags), tools, wooden stick, and double side tape for completing the flag. 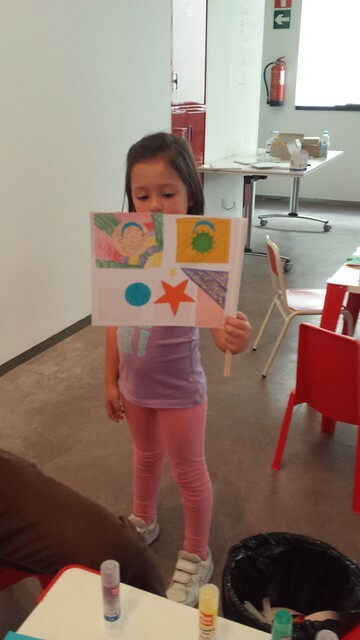 Hence, young participants were cutting out and putting together different motives, and creating their own flag. 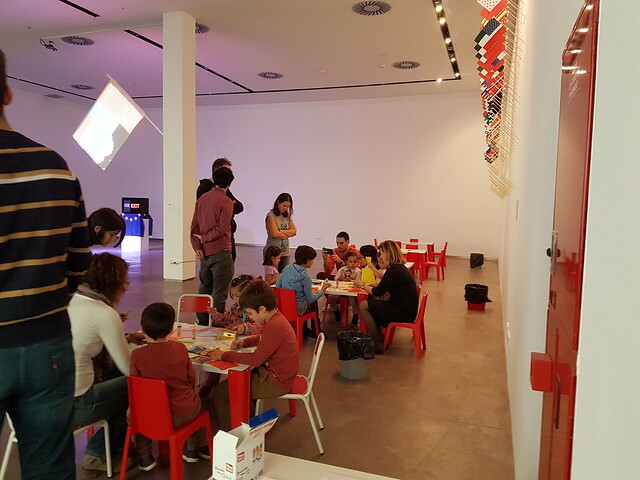 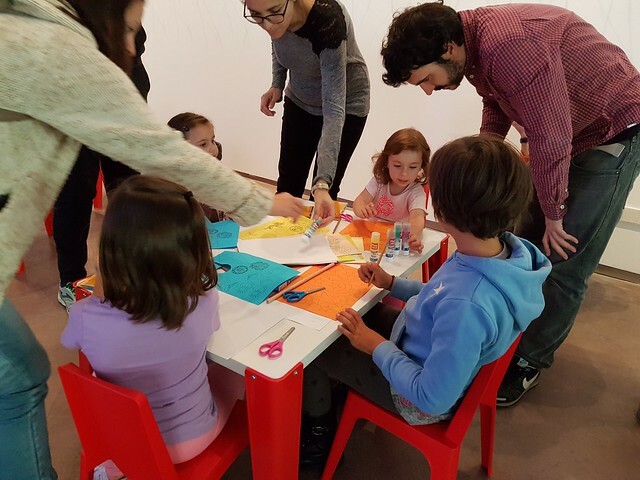 The workshop took place in the exhibition space together with the solo show at Rambleta, Valencia, Spain (12th Nov 2016).